Let the Odyssey O-Works Red #7 Putter do the work for you. Microhinge insert technology combines a stainless steel Microhinge plate with a Thermoplastic Elastomer Feel Layer to create immediate topspin at impact, lifting the ball into a better roll and affording great feel. The new red finish creates a clean, simple look at address, while Tour-proven shaping further inspires confidence on the green. You are about to post a review for Odyssey Golf O-Works Red #7 Putter w/ SS Mid Slim 2.0 Grip based on your knowledge of its playability. 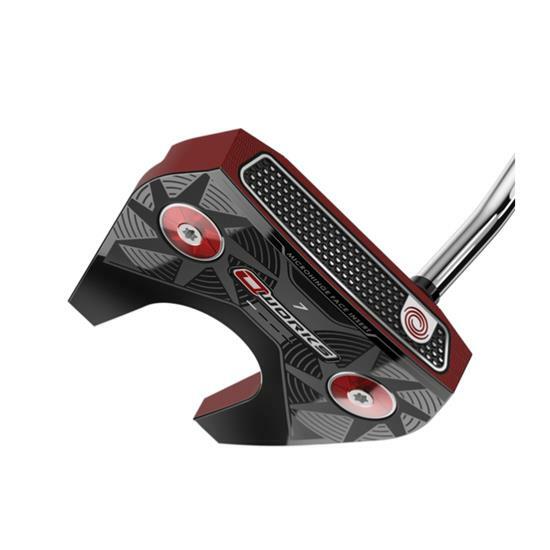 This review will show up under all variations of Odyssey Golf O-Works Red #7 Putter w/ SS Mid Slim 2.0 Grip, including new, personalized, and custom logo.